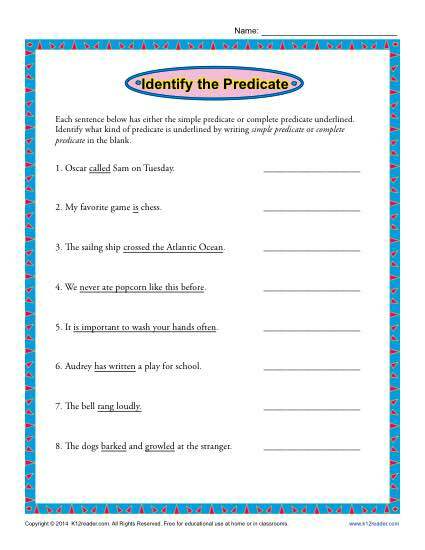 It’s simple predicate versus complete predicate in this worksheet! Your student is asked to identify what type of predicate is underlined in the sentences. It’s appropriate for practicing the 3rd grade Common Core Standards for Language, although it may be useful for other students.